“In today’s highly competitive market, the environment within shops, bars and restaurants is more important than ever. To compete with growing online sales, bricks and mortar based retailers require stylish technology solutions that have a direct impact on maximising store appeal and delivering a first-class customer experience. 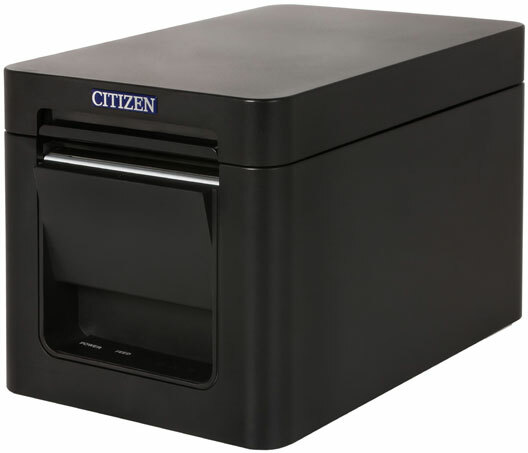 The CT-S251 is the first printer which does exactly that,” says Jörk Schüßler, European Marketing Manager at Citizen. The space saving CT-S251 features a minimal footprint and front exit. Designed to be the same height as average cash drawers, it fits seamlessly alongside other POS hardware and connects directly to cash drawers, helping busy staff to keep transaction points clutter free and tidy. Suitable for a broad range of modern retail and hospitality environments, including restaurants and boutiques, the CT-S251 is available in a choice of two popular and eye catching colours: black or pure white.